You are using an unsupported version of Internet Explorer, and may have problems displaying this page properly. It’s easy to drink bottle after bottle of water in the summer heat, especially if you are exercising. Drinking water is a great way to fight dehydration, which can put you at risk for seizures and a life-threatening heat stroke. But drinking too much water can be dangerous, too. Overhydration, while rare, can occur if you drink more water than your body needs too quickly for your kidneys to handle. Certain conditions, like kidney problems, or medicines like antidepressants can increase your risk for overhydration. 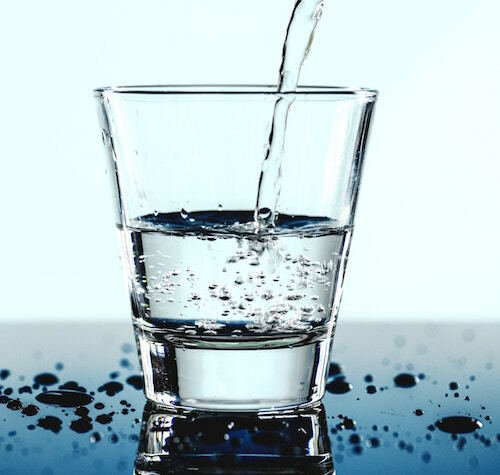 Water, like any other substance, can be toxic if you have too much of it. Overhydration leads to dangerously low levels of sodium in your blood. You need sodium to maintain appropriate blood pressure and to help your nerve, muscle and brain cells retain the right amount of water. When sodium levels drop, your brain is typically the first organ to show symptoms. Your brain cells need that sodium to work appropriately. If you are mildly overhydrated, you may feel tired and easily distracted. You may also vomit as part of your body’s attempt to get rid of excess fluids. If overhydration is more severe, you may have trouble with balance and become very confused. You can even suffer seizures or enter a coma. Athletes may be more susceptible to low sodium levels and overhydration. As you work out in hot, humid summer air, you lose a lot of sodium through your sweat. While drinking water replaces the fluid you lose, it doesn’t replace the sodium, making overhydration more likely. Drinking water is still important as you exercise in the summer sun, and you should always listen to your body’s signals about thirst. However, by drinking water slowly over time instead of downing half a gallon at once, you give your body time to adjust to the water. You should take frequent, small water breaks instead of a large break at the end of a workout or practice. You can also help replace sodium in your diet by drinking a sports drink with electrolytes. These drinks are most appropriate for people exercising vigorously outdoors for an hour or more, such as at a summer football practice. Sports drinks can contain a lot of sugar you don’t need, so always check the nutrition label. You can also train safely this summer with help from the expert athletic trainers at Bon Secours In Motion Sports Performance. Your personalized workout will have you on your way to your fitness goals, whether you are a college athlete or weekend warrior. Learn more about out our sports performance training programs.